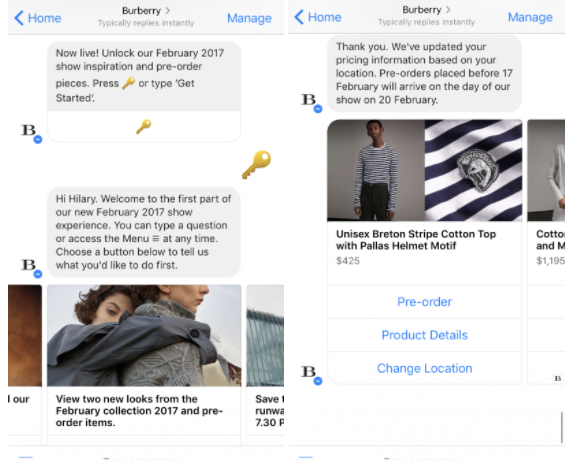 Burberry used Facebook Messenger to inform people that by unlocking their February 2017 show inspiration they can instantly pre-order pieces. To unlock, users were prompted to enter the key emoji. Once the show was "unlocked" Users could browse through the show’s inspiration (British artist Henry Moore), shop items available for pre-order, preview the brand’s February 20 runway show and add a calendar remind, or start a live chat with a human Burberry team member. 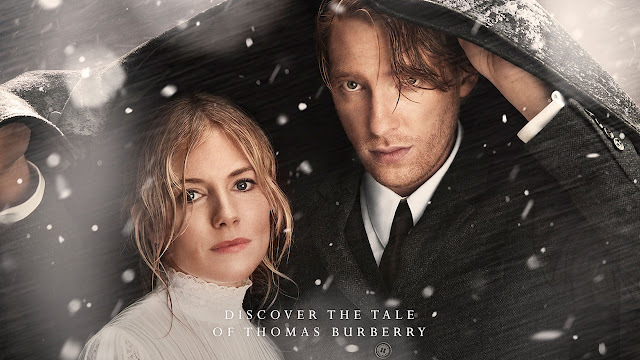 Burberry sets another example of how to benefit from todays technical possibilities and to use them so you can interact with your target group successfully. Check it out here.